As per joining with the Top 10 Emerging Influential Blogs for 2014 nominees, we choose the following blogs listed below that we believe that must be included on the final list of influential blogs of 2014 on the 8th year of writing project that seeks in identifying the new and emerging blogs who are making an impact to its readers initiated by Janette Toral. This great Top 10 Emerging Influential Blogs 2014 Writing Project will not be possible without the following sponsors; Digital Influencers Marketing Summit, Certified Blog and Social Media Entrepreneur Program, Philippine Internet History phnet20 Project, Digital Creators Boot Camp, and Infinity Hub Web Development Services. Join now and create impact in the Blogging Community and promote it in your social networks using the hashtag #emergingblogs2014. Here's CEnterTechNews' Top 10 list of Emerging Influential Blogs for 2014. 1. Site Name: The Dailypedia, site link: thedailypedia.com: This blog was created to carry on the very purpose of writing and reading online and that is to be connected to the world. 2. Site Name: Xolxol, site link: xolxol.ph; Discussing about Latest News and Buzz that help on popularizing viral videos online. 3. Site Name: Astig, site link: astig.ph: I've seen this blog on a media partner of Dulaang UP which we are also included. This blog is really providing quality content supplemented by pleasing visuals presented in a mobile-friendly user experience. With a team of over 20 editors and contributors, the site has grown rapidly from its inception in February 2014, garnering a large viewership as proven by its Google page rank and Alexa stats. 4. Site Name: Pinas Social, site link: pinassocial.com: This blog is not only meant for the Filipinos entertainment, but also to provide the best in different aspects of life. 5. Site Name: Knowing Ropes, site link: knowingropes.com: This Blog created mainly for expression of thoughts and sharing of knowledge and insight. Since my blog satisfies the purpose for which it was made, they consider it influential, especially to target audience which were students. 6. Site Name: Delightfully Desserts, site link: delightfullydesserts.com: The idea of this blog comes out when my eagerness to learn about how to bake and create my own version of desserts. The author love eating desserts and love learning new thing about how those sweet bites are made. On this blog, they also how to manage to make delightful desserts for family and friends. 7. Site Name: Corrine Emata, site link: technorush.com: This blog talks about and anything about gadgets, gaming and anything about technology. They also discuss food relevant that goes well with technology and gadgets. 8. Site Name: Raket Hub, site link: rakethub.com: The name of this blog as "Raket" means as an informal Filipino term of sideline.. On this blog they shares ideas, insights and the things the author learned in the webinars and seminars that they have attended.and covered. 9. Site Name: Matakaw na Bata, site link: matakawnabata.com: This blog always makes sure to search for the best homemade pastries, recipes and hip restaurants around Metro Manila. As the author realized that he need to put up this food blog as an inspiration of his hard work as an online worker and find himself as a certified foodie. 10. Site Name: The Slambook Project, site link: theslambookproject.com: This blog talks about cool approach to blogging specifically with Comic Blogging & Graphics. 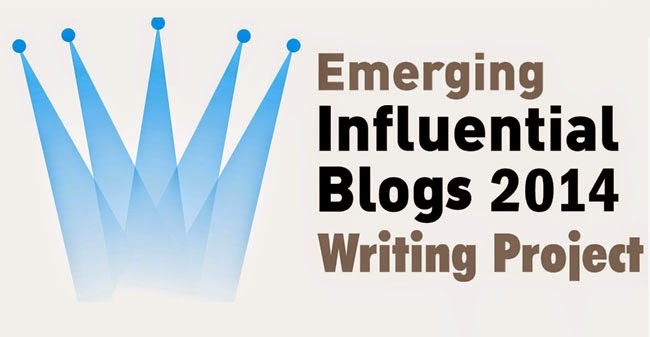 Good Luck everyone and see you all on September 13 for the Recognition of The Top 10 Emerging Influential Blogs for 2014 based from entries received at the Digital Influencers Marketing Summit happening at SMX Convention Center this September 13, 2014.